What Next for the WHO and IAEA? On the 20th Anniversary of Chernobyl WHO and the IAEA published the Chernobyl Forum Report, mentioning only 350 sources, mainly from the English literature while in reality there are more than 30,000 publications and up to 170,000 sources that address the consequences of Chernobyl. After waiting two decades for the findings of Chernobyl to be recognized by the United Nations, three scientists, Alexey Yablokov from Russia, and Vasily Nesterenko and Alexey Nesterenko from Belarus undertook the task to collect, abstract and translate some 5,000 articles reported by multiple scientists, who observed first-hand the effects from the fallout. These had been published largely in Slavic languages and not previously available in translation. 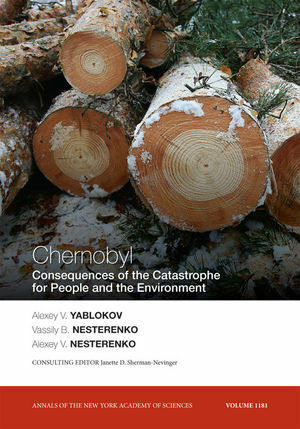 The result was Chernobyl – Consequences of the Catastrophe for People and the Environment, published by the New York Academy of Sciences in 2009. The greatest amount of radioactivity fell outside of Belarus, Ukraine and European Russia, extending across the northern hemisphere as far away as Asia, North Africa, and North America, while the greatest concentrations continue to affect the 13 million living in Belarus, Ukraine, and European Russia. Immediately after the catastrophe, release of information was limited, and there was a delay in collecting data. WHO, supported by governments worldwide could have been pro-active and led the way to provide readily accessible information, but did not. These omissions resulted in several effects: limited monitoring of fallout levels, delays in getting stable potassium iodide to people, lack of care for many, and delay in prevention of contamination of the food supply. The number of victims is one of the most contentious issue between scientists who collected data first-hand and WHO/IAEA that estimated only 9,000 deaths. The most detailed estimate of additional deaths was done in Russia by comparing rates in six highly contaminated territories with overall Russian averages and with those of six lesser-contaminated areas, maintaining similar geographical and socioeconomic parameters. There were over 7 million people in each area, providing for robust analysis. Thus data from multiple scientists estimate the overall mortality from the Chernobyl catastrophe, for the period from April 1986 to the end of 2004, to be 985,000, a hundred times more than the WHO/IAEA estimate. Given that thyroid diseases caused such a toll, Chernobyl has shown that nuclear societies – notable Japan, France, India, China, the United States, and Germany – must distribute stable potassium iodide (KI) before an accident, because it must be used within the first 24 hours. Key to understanding effects from nuclear fallout is the difference between external and internal radiation. While external radiation, as from x-rays, neutron, gamma and cosmic rays can harm and kill, internal radiation (alpha and beta particles) when absorbed by ingestion and inhalation become embedded in tissues and releases damaging energy in direct contact with tissues and cells, often for the lifetime of the person, animal or plant. To date, not every living system has been studied, but of those that have – animals, birds, fish, amphibians, invertebrates, insects, trees, plants, bacteria, viruses and humans – many with genetic instability across generations, all sustained changes, some permanent, and some fatal. Wild and domestic animals and birds developed abnormalities and diseases similar to those found in humans. It takes ten decades for an isotope to completely decay, thus the approximately 30 year half-lives for Sr-90 and Cs-137 will take nearly three centuries before they have decayed, a mere blink of the eye when compared to Pu-239 with a half-life of 24,100 years. The human and economic costs are enormous: in the first 25 years the direct economic damage to Belarus, Ukraine, and Russia has exceeded $500 billion. Belarus spends about 20% of its national annual budget, Ukraine up to 6%, and Russia up to 1% to partially mitigate some of the consequences. When a radiation release occurs we do not know in advance the part of the biosphere it will contaminate, the animals, plants, and people that will be affected, nor the amount or duration of harm. In many cases, damage is random, depending upon the health, age, and status of development and the amount, kind, and variety of radioactive contamination that reaches humans, animals and plants. For this reason, international support of research on the consequences of Chernobyl must continue in order to mitigate the ongoing and increasing damage. Access to information must be transparent and open to all, across all borders. The WHO must assume independent responsibility in support of international health.